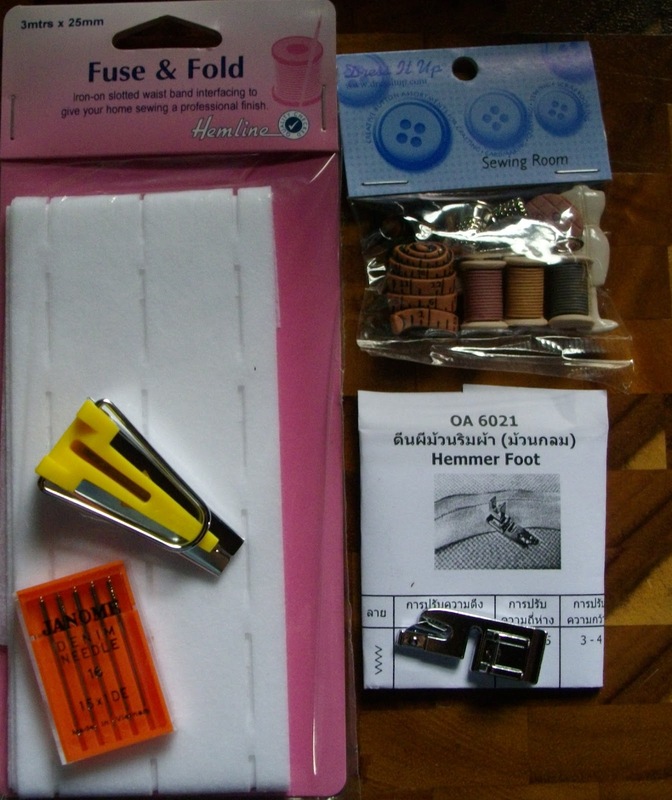 I am most impressed with the bias maker and hemmer foot – although I don’t think the Thai language instructions are going to be very helpful for the hemmer foot – thank heaven for the blogosphere! And I have no idea why I bought those buttons. They were to cute to pass up but I cannot imagine them on a garment – ideas anyone? 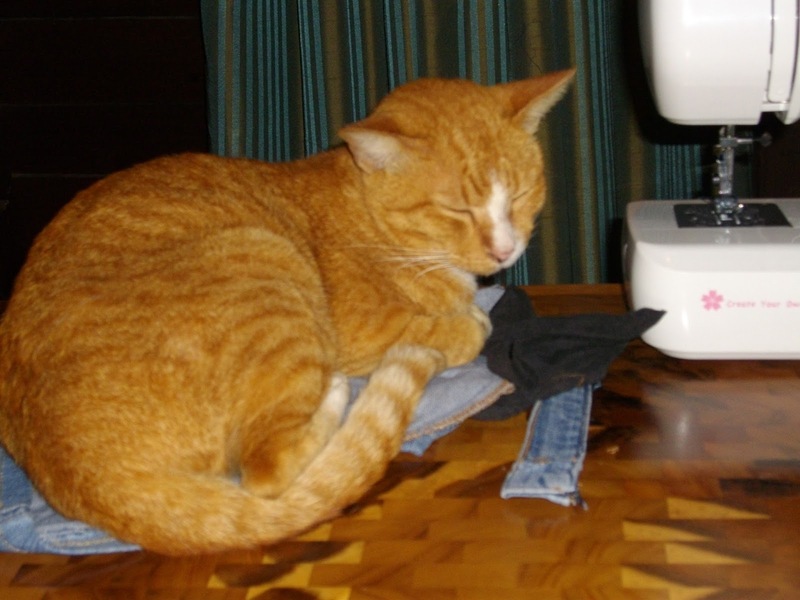 And since it’s Sunday, a gratuitous gorgeous cat photo… Koshka telling me it’s time to stop sewing and feed him keeping me company. Hope you’ve had/are having a great sewing weekend. I'm sure I'll love my bias tape maker too. I haven't tried the hemming foot yet and everyone says they are really difficult to get the fabric in the right place at the start of the hem, so I'll let you know how I get on.